Between 1951 and 1957 one hundred and seventy two (172) Standard Class 5 4-6-0 steam locomotives were built by British Railways at Doncaster and Derby. They were numbered from 73000 to 73171. Twenty engines of the class (Nos.73080-9 and 73110-9), all allocated to the Southern Region, carried names of mythical figures, such as Merlin and Excalibur. Five engines have survived from BR days for further use on preserved railways. 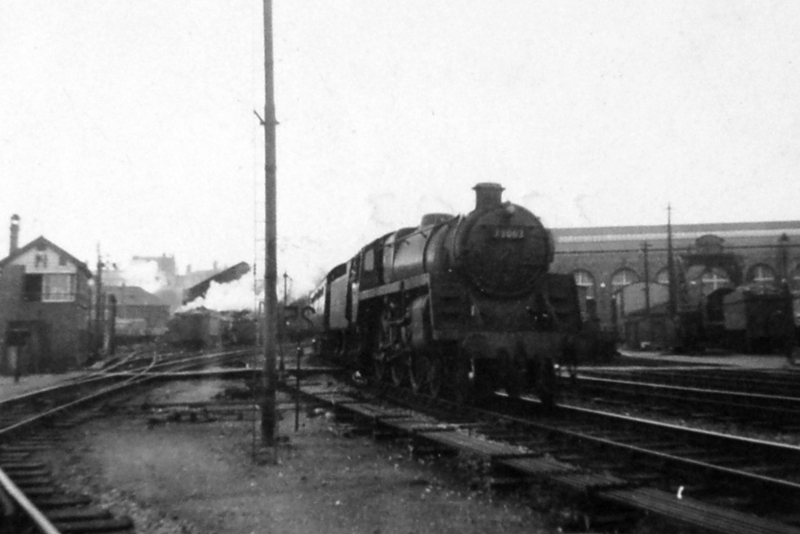 Although Worcester shed had no allocation of these locomotives they were frequently seen in the county, sometimes working passenger trains on the former Birmingham and Gloucester Railway. Oxford based engines were also frequent visitors, as was Gloucester based No.73068. The class5s were being used on local passenger services and one such working was photographed by Robert Pritchard at Worcester Shrub Hill on 6th February 1965. 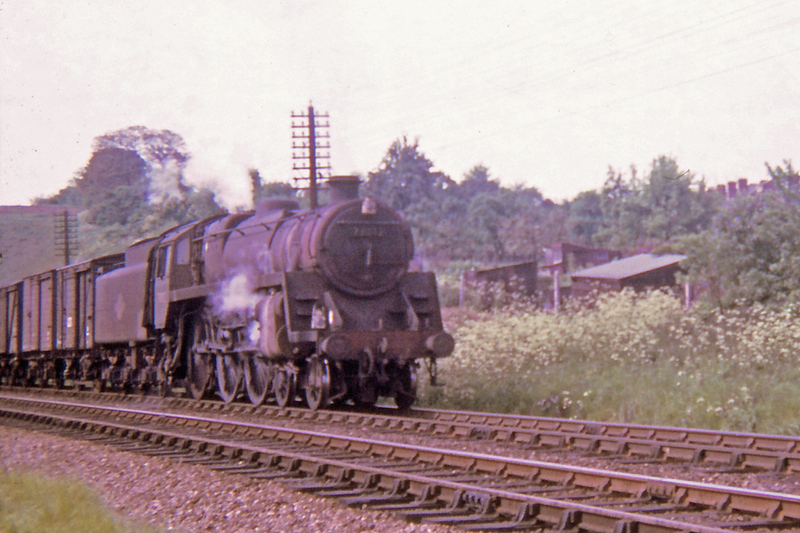 On 16th May 1964 Pete Wilcox photographed class 5 4-6-0 steam locomotive No.73012, a recent transfer to Bristol Barrow Road Shed, as it passed the King George V playing fields near Astwood at Worcester. A typically steamy scene at Worcester the 1960s as Class 5 Standard 4-6-0 steam locomotive No.73003 of Bristol Barrow Road shed passes the locomotive sheds with a Birmingham New Street to Gloucester local service. The hoist at the heavy repair works can be seen on the right hand side of the photograph whilst a clutch of locomotives can be seen outside the passenger engine shed. Photograph taken by Chris Wilkinson.